Now we are in the middle of winter the demand for battery replacement within workshops is reaching its highest due to the cold weather. What’s more, different vehicles and customer driving styles place varying demands on the battery. This guide will ensure your workshops are fully prepared and fitting the correct batteries for the customer. 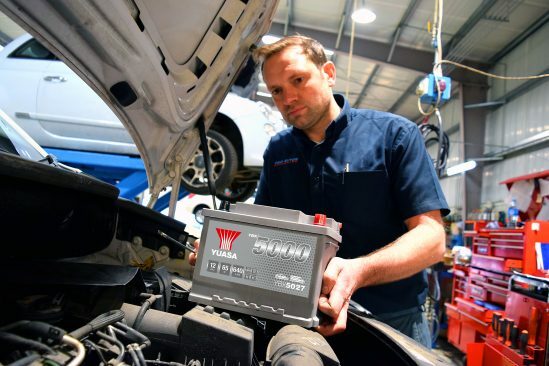 Battery replacement has changed significantly in recent years and replacing the battery on a modern vehicle is no longer a fit and forget task. The procedures involved for new vehicles are increasingly more complex and time consuming. For example, on many new vehicles the battery is not fitted under the bonnet – making it more difficult to locate. Some vehicles such as the Audi Q5 can take up to an hour and a half of work. Today’s modern vehicles also feature more technology and electrical appliances than ever before, so an original equipment quality replacement battery is essential to power on-board systems and power-hungry devices. When replacing a vehicle’s battery, the first step is to find out which is the correct replacement. To do this, visit Yuasa’s industry-leading Online Battery Lookup fit.yuasa.com. Used by over 80,000 mechanics and technicians, fit.yuasa.com is Europe’s most powerful battery lookup system. It is driven by an extensive European database and allows users to find the right battery and detailed fitting information quickly. For vehicles with advanced emissions reduction technology such as Start-Stop, it is essential the battery is replaced with one of the correct specification. If a vehicle is fitted with an original equipment (OE) AGM Start-Stop battery, then the replacement must also be an AGM Start-Stop. The same applies for EFB. Conventional battery types are therefore not suitable for these applications and will result in vehicle faults, including loss of the Start-Stop system. Furthermore, most modern vehicles come fitted with a Battery Management System (BMS), which is an on-board computer. This must be reset through the onboard diagnostics port (OBD) to tell the vehicle when the battery has been replaced. 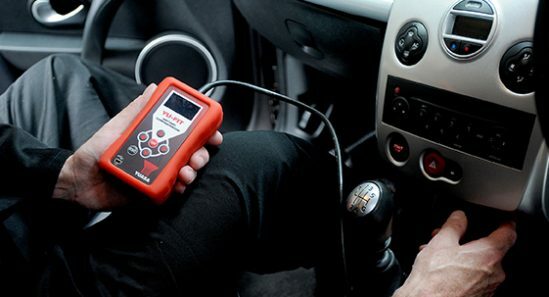 Failure to fit the correct battery or reset the BMS can cause serious issues such as battery failure, system faults or complete loss of Start-Stop functionality. Yuasa sell a Yu-Fit Battery Configurator tool – a convenient and easy way to perform reprogramming of the BMS unit. The Yu-Fit offers excellent value for money and is one of the most user-friendly configurator tools on the market. Unlike with Start-Stop technology, for standard ignition vehicles there may be standard fit, upgrade and upgrade plus options available. Battery selection should not be based on specification alone. It is important to determine the correct battery replacement required based on driving style and vehicle usage. Carefully question the customer about their journey length and frequency as well as their annual mileage. Short, infrequent journeys (anything under 20 minutes) doesn’t give the battery time to fully charge. This results in the battery becoming deeply discharged and permanently damaged. In these cases, the best way to optimise performance and prolong service life is to install a higher specification battery. This will offset the potential damage caused by these driving habits, reducing the likelihood of premature failure and roadside breakdown.